According to rental site Zumper, median rents for a one bedroom in West Town are hovering around $1,800, compared to a $1,500 one-bedroom median for Chicago as a whole. So how does the low-end pricing on a West Town rental look these days--and what might you get for the price? We took a look at local listings for studios and one-bedroom apartments to find out what budget-minded apartment seekers can expect to find in the neighborhood, which, according to Walk Score ratings, is friendly for those on foot, is convenient for biking and has excellent transit. 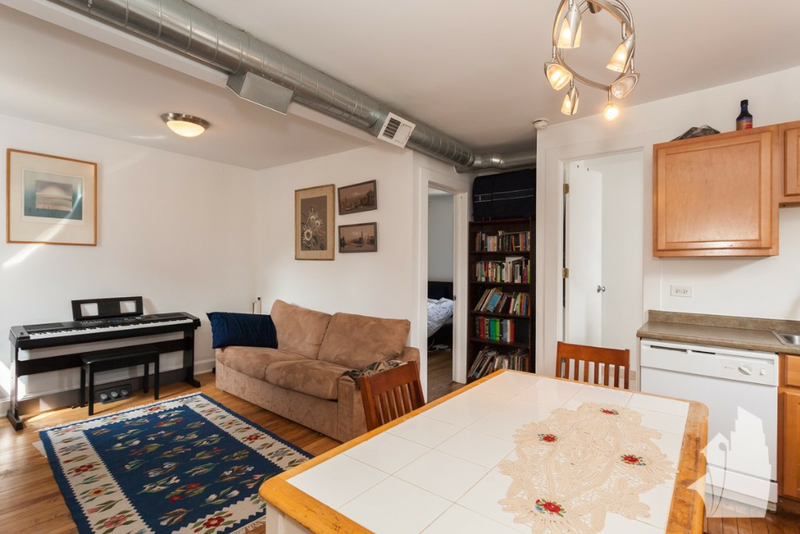 Listed at $775/month, this one-bedroom, one-bathroom apartment, located at 4830 W. Superior St., #1R, is 56.9 percent less than the $1,800/month median rent for a one bedroom in West Town. Secured entry, outdoor space and extra storage space are included as building amenities. In the unit, expect an open living room floor plan, high ceilings, air conditioning, white appliances and hardwood flooring. Neither cats nor dogs are permitted. This one-bedroom, one-bathroom apartment, situated at 2206 W. Erie St., #2R, is listed for $1,150/month. Building amenities include assigned parking, secured entry and shared outdoor space. In the unit, you're promised both air conditioning and central heating, hardwood flooring, a deck, a dishwasher and white appliances. Attention, cat owners: your kitty is welcome here. There's no leasing fee required for this rental. Then there's this apartment with one bedroom and one bathroom at 1452 W. Ohio St., #Garden Uni, listed at $1,200/month. When it comes to building amenities, expect on-site laundry, on-site management and extra storage space. The apartment features both air conditioning and central heating, tiled and concrete flooring, recessed lighting, white appliances and granite countertops. Both cats and dogs are welcome. There's no leasing fee required for this rental. Listed at $1,225/month, this one-bedroom, one-bathroom apartment is located at 472 N. Leavitt St., #1. Secured entry, on-site management and shared outdoor space are listed as building amenities. In the unit, you're promised hardwood flooring, central heating, in-unit laundry, a dishwasher, stainless steel appliances, granite countertops and ceiling fans. Attention, cat owners: your kitty is welcome here. This one-bedroom, one-bathroom apartment, situated at 1741 Huron, #2R, is listed for $1,275/month for its 775 square feet of space. The building features assigned parking, on-site laundry and secured entry. Apartment amenities include both air conditioning and central heating, hardwood and tiled flooring, a deck, garden access, a fireplace, high ceilings and ceiling fans. Both cats and dogs are welcome.